Inspired by some of the most popular programs on television, resident Tee Leffin and her neighbors are bringing reality competitions to life, Brunswick Forest-style. The first weekend in May, the group held the second annual Amazing Race, patterned after the Emmy Award-winning CBS hit. Participants raced through Brunswick Forest’s many neighborhoods, trails and parks, doing activities such as kayaking, cycling and corn hole, in randomly assigned teams. Tee and her friends are also putting together their own version of The Food Network show Chopped. Neighbors will compete to see who can prepare the best meal with a limited number of predetermined ingredients, under the crunch of a time limit. The fun is slated for later this summer. While not quite rivaling the Westminster Kennel Club’s version, dog owners gathered in the community’s Annsdale Park for the second annual Brunswick Forest Dog Show. 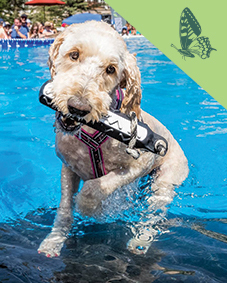 This year, 32 canines prompeted for top dog honors in grooming, tricks and other categories. Every year, Brunswick Forest sponsors outdoor concerts in Annsdale Park, the perfect venue for setting up tents, blankets, chairs, coolers, and even the occasional crockpot. Several hours before the concert begins, residents gather in the park, often forming their own mini-community of residents from their specific neighborhood within Brunswick Forest. The concerts are free and open to the public. Keeping the potluck theme going, neighbors also host a community-wide pig pickin’ at Hammock Lake, one of Brunswick Forest’s most picturesque spots. Everyone pitches in for the barbeque, and each person brings a side dish and/or dessert to share. A fun-filled signature event for the community, the Cardboard Boat Regatta is celebrating its eighth year in June. Exactly as it sounds, residents build watercraft out of cardboard and race across Hammock Lake. The engineering and artistry of the entries draw a crowd, with spectators often placing friendly wagers on their picks to win in a variety of categories. Brunswick Forest held their first croquet match in April of this year, complete with an all-white dress code and Mint juleps as the drink of the day. Judging from the turnout and the enthusiasm, this is likely to become an annual event. “There are also a myriad of activities our residents create and attend through our Fitness and Wellness Center,” said Helms. Activities director Nicole Stone fills the calendar with events like kayaking trips, birding walks, and group travel to all kinds of places, including theatre outings, baseball games, fitness challenges and restaurant tours, just to name a few. Also in the Fitness and Wellness Center, residents can attend educational seminars on all sorts of topics, from writing a memoir to interior design, from self-defense to financial planning, as well as how to make the most of your cell phone. Health-related seminars are especially popular, with topics such as medical weight loss, peripheral neuropathy, hormone replacement therapy and natural remedies, such as essential oils. New residents can sign up for Get Connected to learn about all of the opportunities and events in the community. 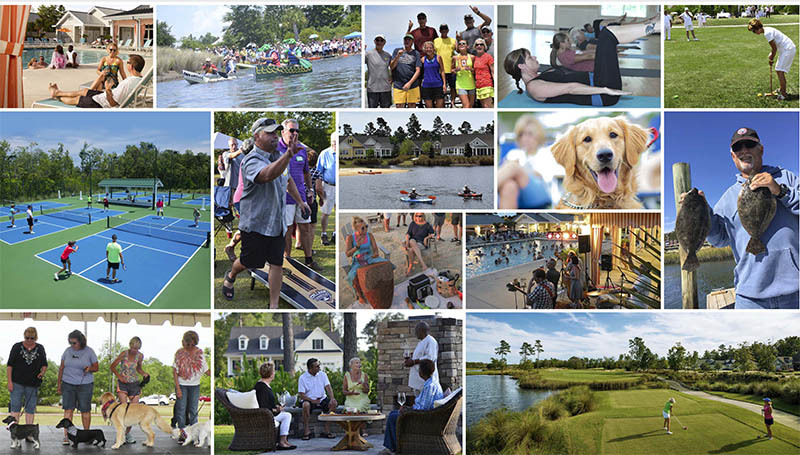 Meanwhile, on the opposite side of the community, the clubhouse at Cape Fear National® golf course is another social hot spot. The calendar of events there includes things like karaoke night, trivia night, special wine-pairing dinners, and cigar club. In addition to the exceptional amenities and astounding number and variety of events, Brunswick Forest offers a diversity of home styles and price points. Options range from low-maintenance townhomes to lovely coastal cottages to custom golf course homes, all from the $300s to the $800s. Premier home sites begin in the $80s. 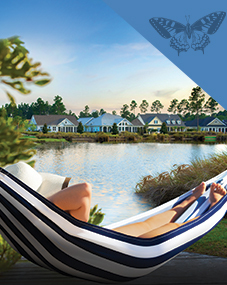 To learn more, or to take a personalized tour among the dozens of model homes open daily, stop by the Welcome Center or call 910.239.3786 for an appointment.